A lone bench on a pier, the sea ebbing and flowing in the background that’s all it takes to set the tone in Lunch & The Bow of Ulysses. Two lone figures lusting, fighting and talking; 20 years in the span of 90 minutes. Written and set 20 years apart, Steven Berkoff’s one-act plays feature the same couple. 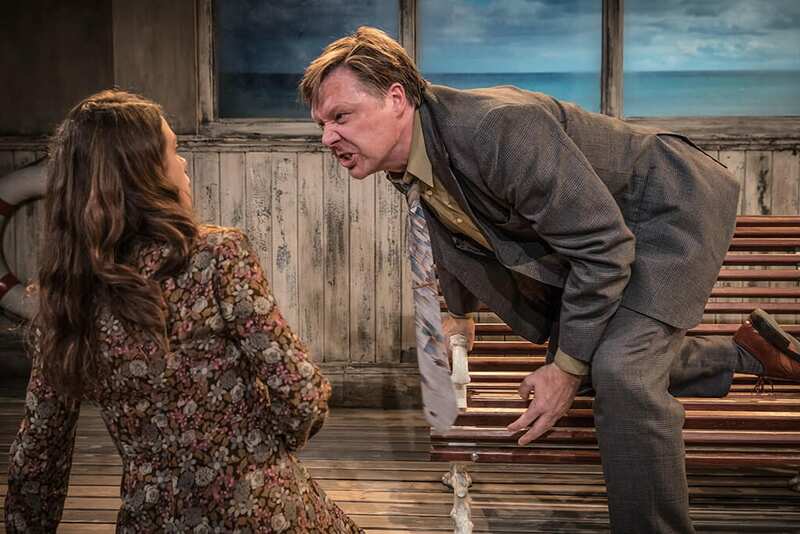 Director Nigel Harman stages them as a continuous play, without an interval, giving us the chance to witness both the evolution of the relationship and Berkoff’s writing. A vivid and dark portrait of a typically unhappy couple. 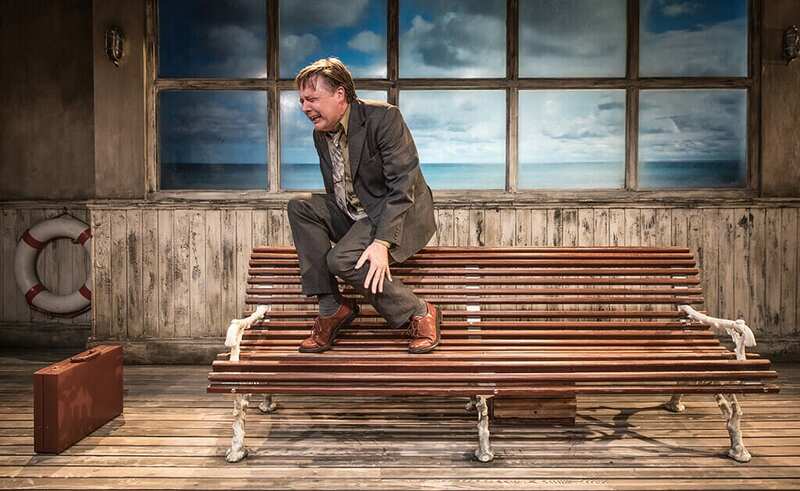 Lunch is set over a single lunch hour, when a “salesman of nothing” is exuberantly trying to…pull a woman sitting alone on a seaside bench. He is intense, overly-verbal and overly-enthusiastic, she is aware of the attention, flattered, interested and weary at the same time. Soon enough, though, the cracks in their lives start becoming apparent. The daily routine that stifles, the loneliness and aimlessness of their existence and their apparent craving for excitement. 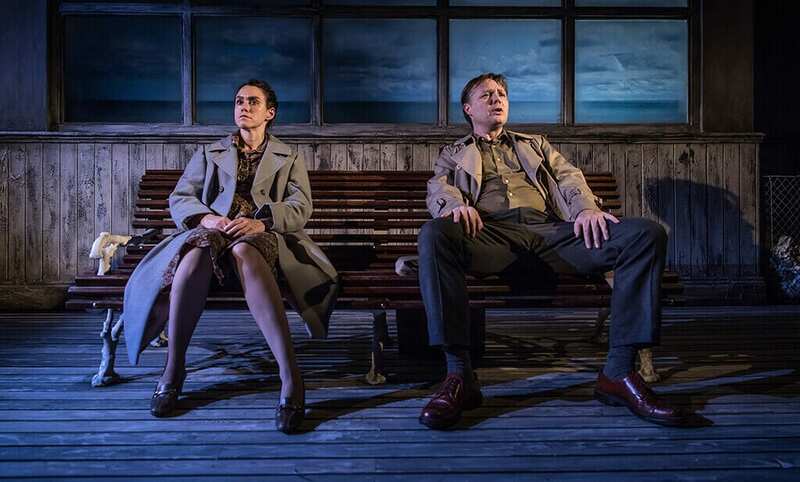 The lights dim, the protagonists just put on their coats, lights on and we are 20 years down the road, set on the same seaside bench. This time no prospect of the future beckons them. In The Bow of Ulysses the future has come and gone and has left them bitter and unfulfilled. Dialogue is dead and buried, their sole interaction alternating soliloquies bursting with resentment and recriminations. Berkoff has eschewed realistic dialogues in his two-hander and gone for a mix of poetry, soliloquies, dream sequences and flights of fancy ranging from the comic to the tragic and flying close to the delusional that manage on occasion to deliver moments with comedic value and/or searing insight. I would not go as far though as to call them rare hidden gems, as Nigel Harman did, I cannot see how they further in any way what’s already been said, analysed and staged on the rollercoaster ride of relationships and marriage. 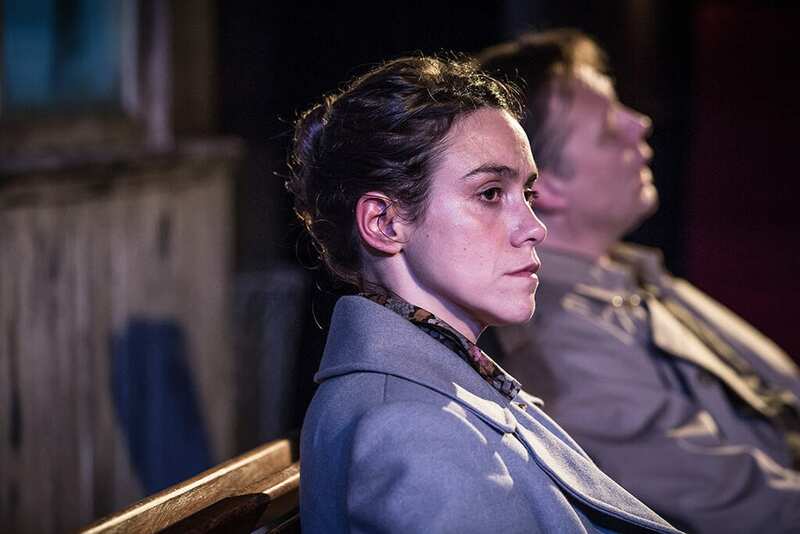 But despite the linguistic acrobatics that at times can feel protracted or distracting, what carries the performance forward are Shaun Dooley’s and Emily Bruni’s acting. His ebullience and physicality in Lunch balanced by Bruni’s restricted reticence, while, in the Bow of Ulysses Bruni shines at her most brutal deliveries. Not to mention the “athleticism” required by both to act and enunciate the demanding text. This is a well-staged revival delivered with talent, despite its shortcomings.